Grease 3 baking sheets. Sift flour, bicarbonate of soda and ginger into a bowl. Rub in until mixture looks like fine crumbs. Stir in sugar. Beat syrup into egg and stir into bowl. Mix to a dough, knead until smooth. Divide into two. Roll out on floured surface to about 0.5cm (1/4 inch) thickness. Stamp out fingers and place on baking sheets. Decorate with currants if desired. Sprinkle with demarara sugar. Bake at Gas Mark 5, 375°F or 190°C for12- 15 minutes. Melt fats, sugar, & syrup and stir in flour & ginger. Add beaten eggs & milk . Bake (in a 2lb loaf tin) for one to one hour, 15 minutes at Gas 2-3, 320°F or 160°C. Thoroughly mix the flour, sugar, baking powder and ginger. Melt the butter (but do not let it become oily), add the egg, and, after beating well add the flour mixture. Mix all well by hand, then flour the hands and roll pieces of the mixture into small balls. Place thses well apart on a floured baking trayand press each ball once on top. 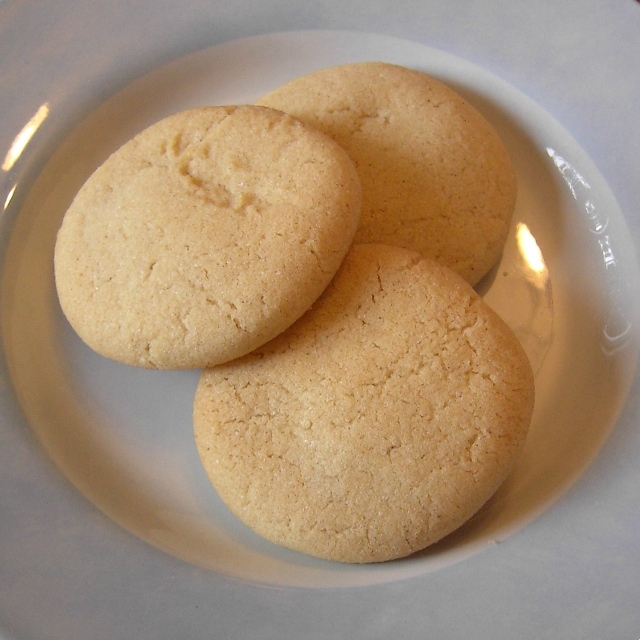 Bake in a very moderate oven, at Gas 3-4, 350°F or 180°, for 30 minutes, taking care that the biscuits do not brown. They should spread out whilst cooking, but will not do if the mixture is too stiff; if necessary a little milk can be added when mixing. After baking leave the biscuits on the tray to cool. 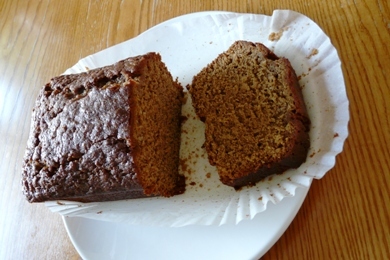 The original recipe is a secret, but here is one of the same type which will give an idea of this Lakeland Speciality. 2 ozs candied lemon peel, finely chopped. Sieve flour, soda, salt and ginger. Beat butter and syrup until soft and creamy, then gradually stir in the dry ingredients and peel. 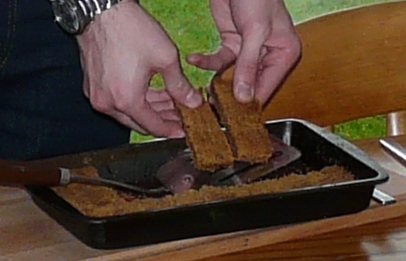 The mixture will be dry and crumbly, but no liquid must be added. Press into a well-greased square tin ½ deep. Bake in a slow oven at Gas 2, 325°F or 170°C, for 30-40 minutes. 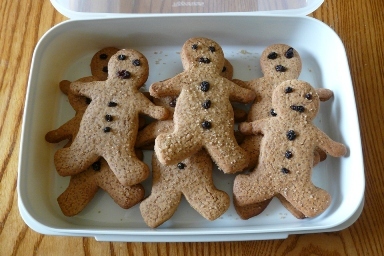 The gingerbread should be only very lightly coloured. Cut into squares while still warm, but do not remove from the tin until quite cold. Mix all the dry ingredients together in a bowl, rub in the butter and add treacle. Knead together and roll out thinly on a floured surface. Cut into large rounds, place on a baking tray and bake in an oven at Gas 4, 350°F or 180°, for 20 minutes until golden.